When we talk about positive psychology and The Positive Psychology People, we are often asked questions such as, “what is positive psychology?”, “isn’t that just positive thinking?” or “that’s just about happiness, isn’t it?” Then we spend time explaining what this wonderful subject is really all about. Sometimes people haven’t even heard of positive psychology! The following video is a recording of the responses of twenty people who allowed us to record their unrehearsed and unscripted responses. The video quality is limited by the internet connections as we spoke to people across the world. We hope you enjoy watching and find interesting and we’d really love to hear your thoughts and opinion on the subject too. 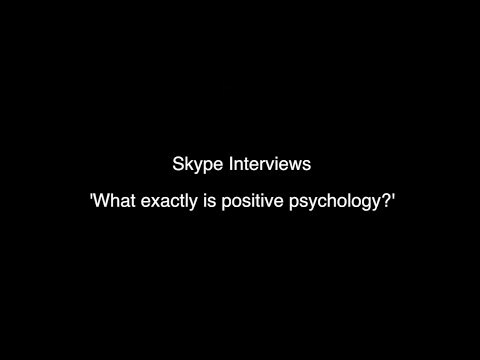 Please share this with others so that more people hear about the fantastic field of positive psychology!